I want to be a Nose-to-Tail Badass, I really do. I see all you Charcutepaloozans with your lamb brains and pig’s heads and am overwhelmed with equal and conflicting feelings of squeamishness and awe. I’m the girl who had a severe emotional breakdown over my college biology fetal pig dissection. Humiliating, to say the least. Don’t ask me to talk about the scene in Cold Mountain where the old woman kills the goat. “Yes, but aren’t you the lady who raises beef cows,” you ask? I never said my life was simple. I consider myself a reasonably adventurous eater. But, I confess, I find eyes, ears, tails, feet and snouts on my plate a bit upsetting. Intestines don’t make me wonder what the best wine pairings and side dishes would be. I don’t enjoy the flavors or textures of liver, kidney, blood or tripe. But, if nothing else, I’m determined. Boldly jumping into the kiddie pool, I decided to go for the tongue as my brining challenge. Preferring a tongue I have not been licked by, I looked to my neighbor, John Lamb at Grazy Days Ranch. Ironically, John Lamb is a farmer who raises goats and beef cattle; you’ll find no 4-legged lambs on this farm. 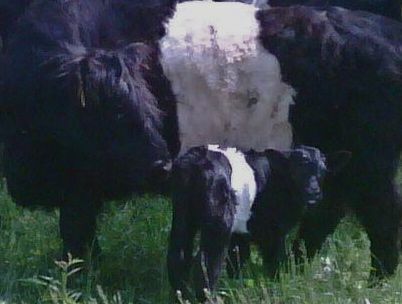 Grazy Days has a beautiful herd of heritage breed Belted Galloway cattle. You might call them Oreo cows, the ones with the big white belt around the middle. John’s are definitely Double Stuff, well fattened on an all grass diet. These cows lead the life cows are meant to live – a companionable herd free to roam acres and acres of rolling grass pasture. I’m big on low maintenance old-fashioned breeds of livestock and the Belties are a treasure worth preserving. Read more about them here: and here. Grazy Days Ranch sells beef and goat meat by the quarter, half and whole, custom cut to your specifications – just a short drive north of Pittsburgh, you really should check it out. Once I started pickling and brining, one thing led to another and another. Did I mention how much I love pickl-ey things? I pickled kale stems, carrots and onions (there’s a good reason you won’t find a recipe for this in any cookbook – yuk). I preserved lemons and approached the age-old question of the chicken and the egg from the pickling/brining perspective. I still don’t know which came first, but when they both taste so good, does it really matter? But all that, while enjoyable and tasty, is avoiding the issue. Forget the comfort zone; let’s consider this tongue. Most of you probably have not had the experience of being licked by a cow’s tongue. They are like sandpaper. A good lick from a cow will give you brush burns; I kid you not. Cows don’t have upper teeth, so they use their tongues to wrap around the grass to tear it up – cow tongues are strong, very well used muscles. Another tongue surprise is just how long it actually is. Somehow we think they are the size we can see, but there’s a whole lot more. This tongue was over 12” long – a big hunk of meat that typically goes unused. The tongue came coiled up with sandpapery skin on. I placed it in the brine for several days, then rinsed it and gave it a good three-hour boil. The skin peels right off easily although I did read somewhere that if you allow the tongue to cool before peeling it becomes difficult to remove. I wasn’t taking any chances. 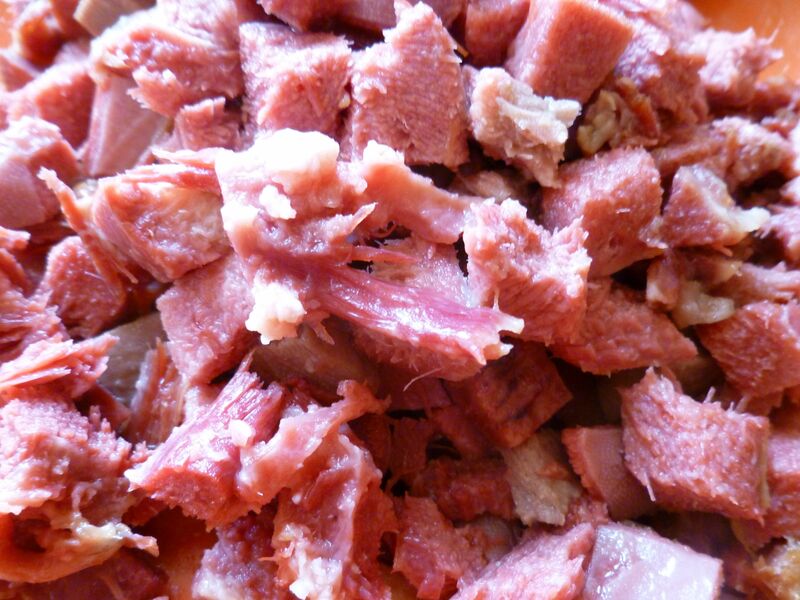 After cooking, the tongue had a really nice, corned beef flavor and color. 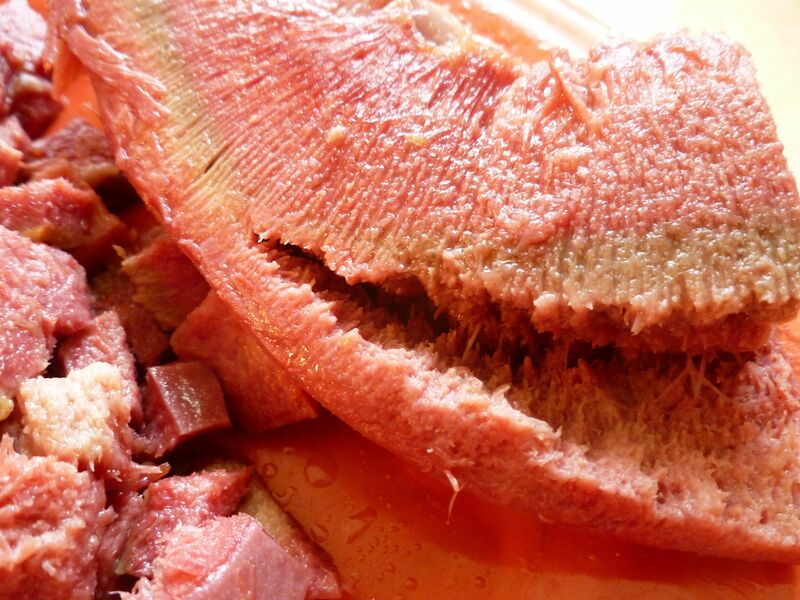 Parts of the tongue have brisket-y texture, but most has that unmistakable sponginess. It’s very tender, not at all rubbery, but definitely tonge-y. We being sissies and all, I decided the most successful method of serving my tongue is by disguising the texture. So, may I present, corned beef hash. 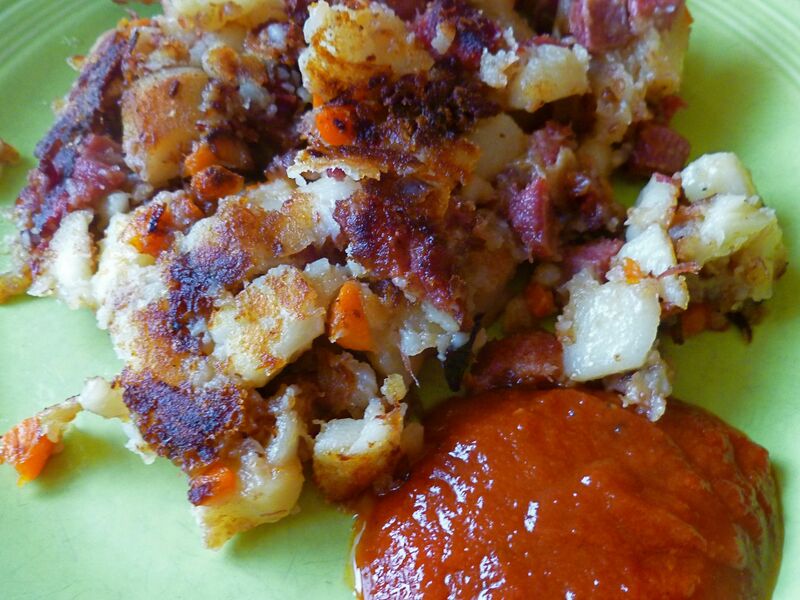 I followed Pioneer Woman’s recipe for Ultimate Corned Beef Hash. And it was good. Even better with the home-made ketchup I made last summer following Pam Corbin’s recipe in her Preserves: River Cottage Handbook No.2 . So, my secret is out. 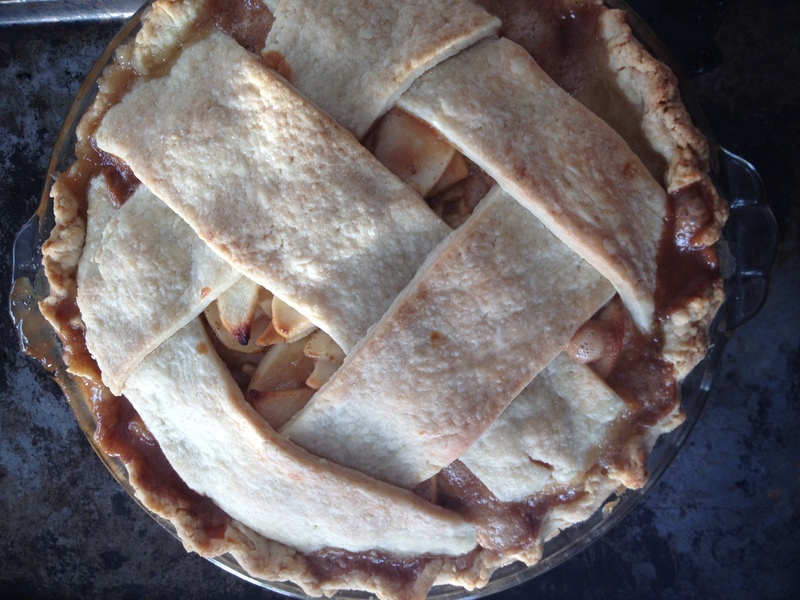 Will my family be speaking to me after my trickery, and if so, will anyone want seconds? Only time will tell…. < Previous In Which We Say Hello! Totally braver than I have been yet with charcutepalooza. And the hash looks awesome! Thanks Lynn, I think. I want to come to your house for some of that corned turkey. Tongue is NOT the kiddie pool. Nice job. I made pastrami with a tongue recently, and it came out really well. I hear you about liver (though pâté is great), but ears and tails can be wonderful if you do them right. Have you had beef heart? It’s wonderful. to look like ears and tails :D.
That’s amazingly brave, in my opinion, and creative! I wish you luck with your organ by organ exploration; I hope we hear more as you travel along.